Leather helmets like this Warriors Leather Helmet are perfect for re-enactors, LARPers, and even Ren fair goers. They are lighter and more comfortable than steel, while still providing an authentic look and modest protection. 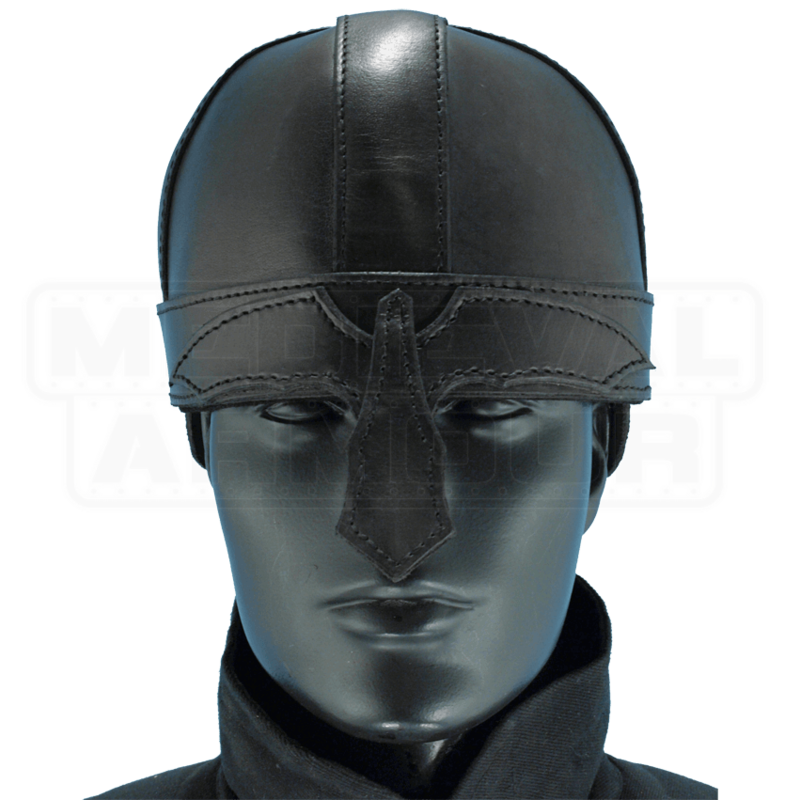 You do not have to worry about keeping the helmet oiled to prevent rust like you would with a steel helmet. 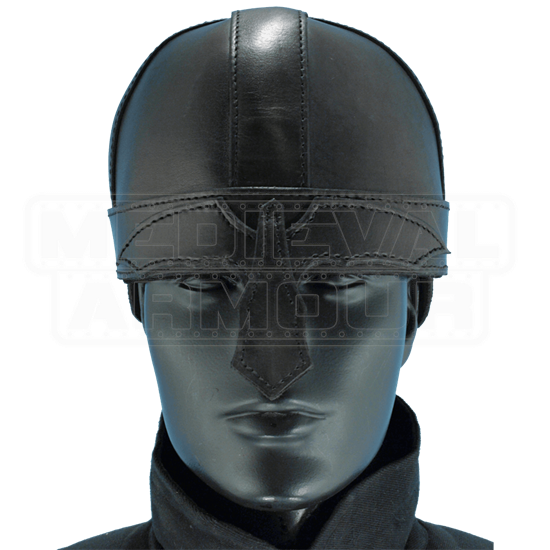 Fashioned from four leather plates, the skullcap features an inner lining of soft split-leather. Leather straps reinforce the rim and form a cross over the crown. Wing-like pieces accent the brow, forming a T with the elongated nasal guard. A neck guard appears at the base of the helm. I have a small head and can never find anything that fits well. This helmet is perfect! I love it. A rather uncomfortable helmet and not a little funny looking but it is functional and fairly priced. It's a leather cup for your noggin after all.